We live in the information age, and the information that surrounds us is an invaluable resource. If we are to thrive in the modern business world we need to find ways to effectively gather, manipulate, share, analyze, and use  in other words, manage  that information. While the need for an enterprise information management system is obvious, it is not so obvious how that enterprise information management system should be implemented and used. The combination of legacy business practices from the old days and an imperfect understanding of information related business needs can lead the most well-intentioned managers astray. Here are ten of the most common enterprise information management mistakes that you should avoid. 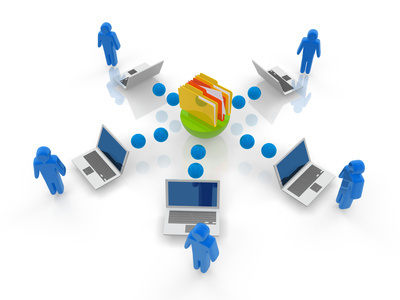 The motivation to set up an enterprise information management system often comes from a desire to resolve specific, current issues with regards to managing information resources. Having specific goals in the creation of your information management system can be a good thing, as it provides focus to your planning, but allowing them to narrow your focus excessively can be limiting. An EIM system should be designed to handle both the needs of today, and tomorrow as well. It should be flexible, and robust enough to adapt to future requirements. Some people treat their EIM system as a cure-all to solve every business problem they will ever face. This is ridiculous. There are some things an EIM system can do, and some things it can't  it's important to know which are which. Particularly when setting up your enterprise information management system, its important to find the balance between long-term and short-term goals. A properly functioning EIM system is, of course, a very worthwhile long-term goal. Try to establish your EIM system in ways that help accomplish short-term business goals rather than sacrificing short-term gains unnecessarily. Don't wait until the money is "available" to start setting up an enterprise information management system. EIM allows you to make full use of a valuable resource and that, in turn, has a positive effect on your revenue stream. The sooner your enterprise information management system is operational, the sooner you can benefit from it. Like any other business system, your EIM needs to be maintained. Both hardware and software need to be looked at regularly, and the system processes tweaked from time to time, to ensure that everything is operating at peak efficiency. Not incorporating or following a regular maintenance schedule is an almost guaranteed way to ensure your information management system will fail. Your business may be divided into separate, more or less autonomous departments, but your enterprise information management system should absolutely not be. One of the greatest strengths of a properly designed EIM system is its ability to enable the free flow of information from one part of the company to another. By keeping various stores of information warehoused off on their own, separated from each other, you defeat everything that makes an enterprise information management system useful. Enterprise information management systems, just like any other set of business processes, benefit from regular measurement and evaluation of performance. Likewise, a properly functioning business process management framework relies on the timely and accurate flow of information to function. If you're not integrating your BPM and EIM systems, you're effectively crippling both of them. Almost anything can be turned into a data point, but not everything should be. The data that should be collected varies from business to business, and situation to situation. Some businesses take a dragnet approach to data collection, grabbing everything they possibly can. This is expensive and wasteful. Others gather only the bare minimum, which can leave them unprepared for future needs. It can be a very challenging task to find the right balance. Access to some information should absolutely be restricted, but many companies restrict access to information for no reason other than a mistaken belief that information is meant to be restricted. If you instead allow access by default rather than restricting by default, you allow the possibility of ideas and solutions from unlikely, but still valuable places. Probably the biggest mistake businesses fall into is failing to use their enterprise information management system, or failing to use it fully. In order to reach the full potential of your EIM system, it must be integrated into every aspect of your business, at the enterprise level. Doing so will provide you with scalable access to all of your businesses valuable information throughout the business as a whole. You'll be able to see the forest, the trees, and if you want, even the squirrels.